(4 stars) Very solid design! A very solid piece of hardware while remaining very smooth in terms of movement. The desk I used this item with is relatively thin so I did feel more comfortable adding some additional wood for support and to help disipate the load. The unit retracts nicely out of the way when not in use and has a good reach when fully engaged. I received this product in exchange for an unbiased review. 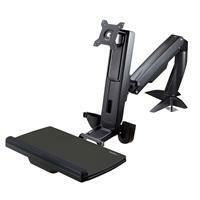 (4 stars) Great movement, needs sturdy surface to mount on. 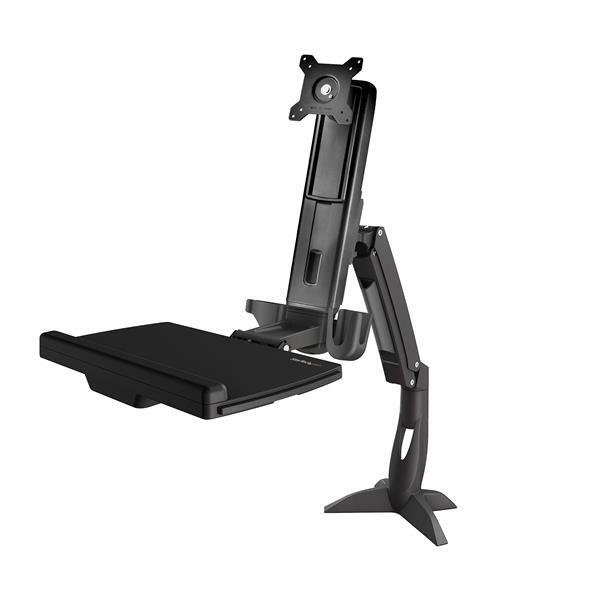 Just want to get the negative (opinion) out of the way first: The DEPTH (front to back) of the arm's connecting point is not all that great unless you have a REALLY sturdy desk. I attached this to a carbonized bamboo desktop (from Standdesk) that I use as a workbench, and after a day of moving the monitor/keyboard around, it cracked the desktop. On a "typical" consumer desk, pressed particleboard, it started as more of a "lean" after a week. So I used some 1/4" plywood to make the gripping surface larger (front-to-back) and it hasn't re-cracked the bamboo desktop. So if your desk/surface isn't metal or solid wood--and even then.... Open the grippy bit wider, add a bit of plywood underneath to spread the tension, and all should be well! Other than that..... GREAT piece of gear. Seriously. 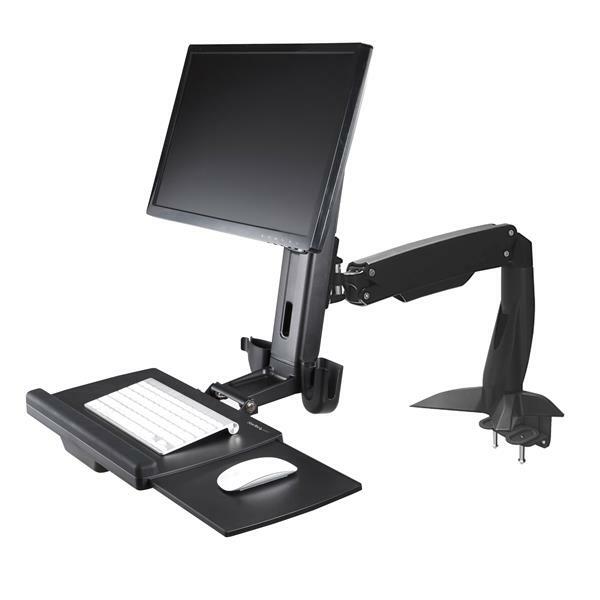 Moves fluidly, joints adjust easily as with most StarTech gear, and it's stable, REALLY stable with 24" monitor. Swings out of the way, folds up nicely. Now a permanent part of the workbench, replacing an older "monitor only" arm, also from Startech, that had that position for several years. Having the keyboard mounted like that is SO convenient! The actions are smooth, the build is crazy strong, and frankly, the finish takes a beating quite well. If you use it in a dirty environment, note that the joints tolerate the dirt quite well! Use velcro instead of the included sticky tape to mount the keyboard. MUCH easier to remove/replace if need be!